XSITE would not be possible without the collaboration of the following partners. These individuals, and the organizations they represent, are regarded as the absolute best in the meetings industry. With over 17 years of planning experience, Tara Liaschenko is an award-winning professional who has earned an impeccable reputation for creativity and excellence in the event and meeting planning industry. Ms. Liaschenko began her career as a consultant in the fashion industry producing and directing. She has supervised product education and training for a national research laboratory, launched an industry resource guide, and managed on-air image and product knowledge for HSN. Her work has been based in San Francisco, New York, Atlanta, and Florida. 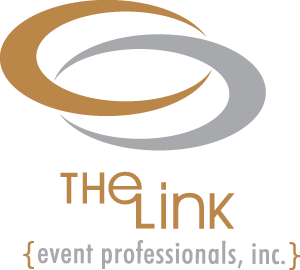 Ms. Liaschenko is the Founder and Creative Executive Officer of The Link Event Professionals, Inc., a global company based in St. Petersburg, Florida dedicated to planning services covering all aspects of meetings and events including concept development, site selection, contract negotiation, entertainment, catering & accommodations, décor design, promotion, production development, registration, and management. An accomplished speaker, Ms. Liaschenko also facilitates board, staff, and client retreats, and in recent years, her company has expanded to facilitating strategic planning and leading business development planning for corporate and nonprofit clients. Sensory 5 is a ‘think tank’ dedicated to the belief that marketing, advertising, and public relations are only successful through the management of senses and environments. Their function is to define one’s interpretation of a product, service, or image by creating a methodical and strategic plan of influence on the marketplace’s environment and senses. The Sensory 5 team is led by the belief that through adopting and utilizing the tools inherent in human nature, a successful marketing and branding campaign will be sustained. Their team consists of professionals each dedicated to their individual tasks to achieve group and client success. Experience, science, creativity and dedication to success form the backbone of their team. Sensory 5 exists for their clients and works to create a conscious and predetermined course of action by the marketplace towards their client’s services, products, or image. They push the edge of the envelope between traditional marketing and the use of psychology to study, influence, and ultimately win the market.